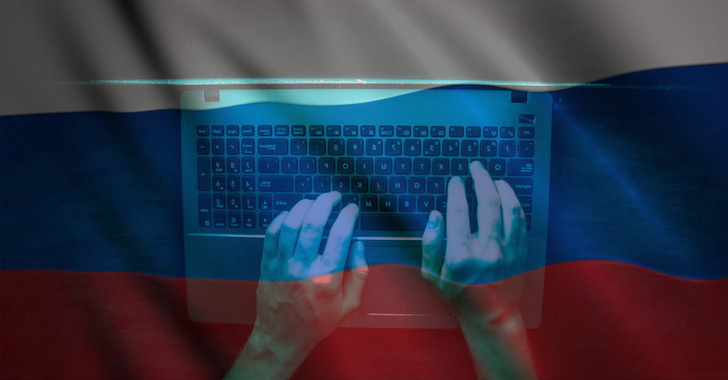 A Russian hacker indicted by a United States court for his involvement in online ad fraud schemes that defrauded multiple American companies out of tens of millions of dollars pleaded not guilty on Friday in a courtroom in Brooklyn, New York. Aleksandr Zhukov, 38, was arrested in November last year by Bulgarian authorities after the U.S. issued an international warrant against him, and was extradited by Bulgaria to the United States on Thursday (January 18, 2019). He is currently in prison in Brooklyn. In November 2018, law enforcement and multiple security firms collaborated to shut down one of the largest digital ad-fraud schemes, which they dubbed 3ve, that infected over 1.7 million computers worldwide to generate fake clicks used to defraud digital advertisers for years and made tens of millions of dollars in revenue. 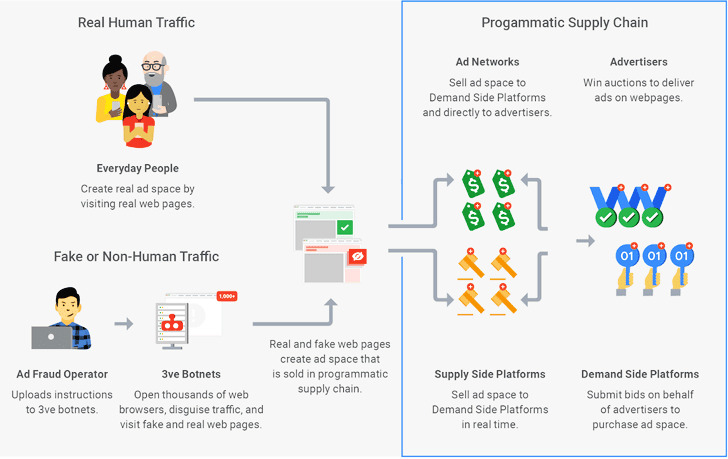 Pronounced "Eve," the online ad-fraud campaign was believed to have been active since at least 2014, but its fraudulent activity grew last year, turning it into a large-scale business and earning their operators more than $30 million in profit. At the time, the US Justice Department announced a 13-count indictment against eight people from Russia, Ukraine, and Kazakhstan, three of them had already been arrested including Zhukov, Boris Timokhin (39, Russian Federation who was arrested from Estonia), and Sergey Ovsyannikov (30, Republic of Kazakhstan who was arrested from Malaysia). Zhukov, along with other suspects, has been accused of organizing an advertising fraud scheme, dubbed "Methbot," from September 2014 through December 2016 wherein he rented out more than 1,900 computer servers hosted in commercial data centers to load ads from advertisers on over 5,000 counterfeit websites. The scheme flawlessly generated billions of ad views and caused businesses to pay over $7 million for "ads that were never actually viewed by real human internet users," US prosecutors said in a November indictment. All the eight defendants have been charged with 13 counts of criminal violations, including wire fraud, aggravated identity theft, money laundering, and conspiracy to commit computer intrusion, among others. However, Zhukov denied all the charges against him on Friday, when he appeared in a Brooklyn courtroom in New York.